"Where do I begin. From check-in to check-out everyone was happy, friendly, helpful, knew their job, and explained each step as I was involved. Dr. Siegel was friendly, created a calm and comfortable setting, 'listened to' and answered my questions. I left knowing I had received quality care. Equally important, very comforting to me as a patient to see a happy and trusting relationship between provider and staff. Thank you." 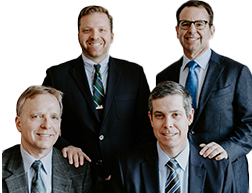 "This office and particularly, Dr. Marc Siegel, was far more professional than the previous ophthalmologist I had seen for cataract surgery. I have much more confidence in Dr. Siegel and everyone in this office that I will be receiving the best ophthalmic care possible."